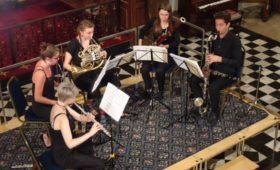 London Conchord Ensemble is a flexible chamber music ensemble of internationally recognised young soloists, chamber musicians and principals from the BBC Symphony Orchestra, the Royal Opera House Orchestra, the Philharmonia, Scottish Chamber Orchestra and the Chamber Orchestra of Europe. Based in London, the ensemble performs at the highest level, exploring both the traditional and contemporary repertoire of chamber music written for combinations of strings, wind and piano. 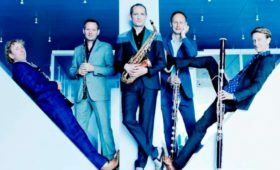 Following their critically acclaimed debut at the Wigmore Hall in October 2002 the ensemble has continued to perform extensively throughout the UK, Europe and North America. Highlights of recent seasons include performances at Schleswig-Holstein Musik Festival, Dusseldorf Tonhalle, Amsterdam Concertgebouw, Brussels Palais des Beaux Arts, Niedersachsen Musik Festival, Library of Congress in Washington, Wigmore Song Series and tours of Ireland, France and America. 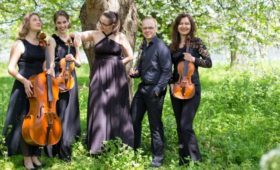 The 2011-2012 season sees Conchord celebrate their 10th birthday with performances throughout the UK including a lunchtime recital at the Wigmore Hall for BBC Radio 3 and a birthday celebration at the Wigmore Hall in an evening concert later that year. Conchord will make their debut appearance in Spain in 2012 with a concert at the Teatro Villamarta in Jerez and the 2011-2012 season also sees the continuation of their highly successful residency at Eton College where they combine masterclasses with evening recitals. 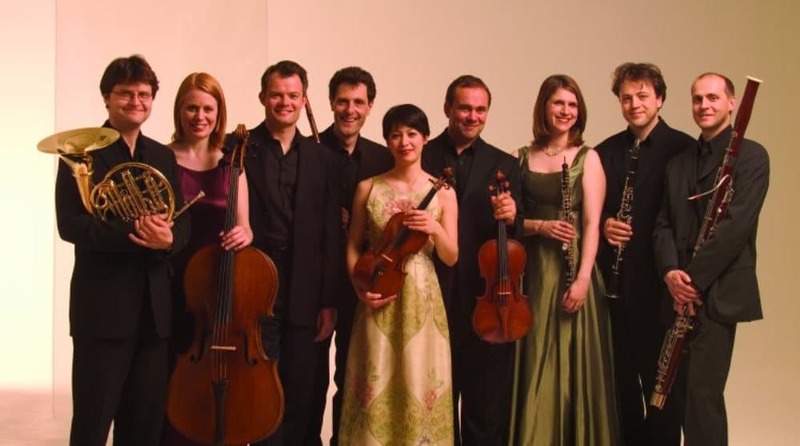 The ensemble enjoys regular collaborations with guest vocalists and recent concerts at Windsor Festival, Newbury Festival, Winchester Festival and Chelsea Festival have included Dame Felicity Lott, Sue Bickley, Andrew Kennedy, James Gilchrist and Katherine Broderick. Conchord are ensemble-in-residence at Champs Hill. Conchord has received wide critical acclaim for their recordings of Poulenc, George Crumb, Thuille and Bach on the Sanctuary Classics/ASV, Black Box and Quartz labels. Their latest CD was released to critical acclaim in February 2012. Released on the Champs Hill label, this double disc explores the complete chamber works of Francis Poulenc.